Standing fully fueled for flight, the Long March 2F rocket carrying the Tiangong-2 space station module is all set for a 14:04 UTC liftoff and ten-minute climb into orbit. The 52-meter tall rocket was moved to the 921 Launch Pad at the Jiuquan Satellite Launch Center last Friday, marking the completion of a three-year development effort. 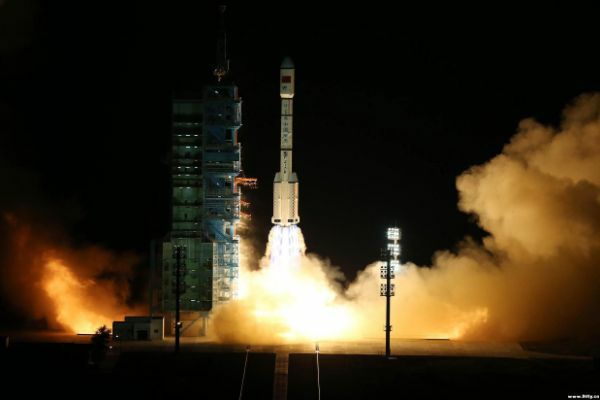 Tiangong-2 – which translates to Heavenly Palace 2 – builds on the lessons learned on the first Tiangong mission and will continue providing data to help in the construction of a large Mir-type complex in the coming years. China’s first orbital laboratory lifted off five years ago, in September 2011, and marked another milestone in the country’s human spaceflight program that began back in 2003 when Yang Liwei orbited the Earth for over 20 hours aboard the Shenzhou-5 spacecraft. Since then, China has been pushing the envelope to obtain the tools needed by crews to live and work in space for extended periods of time, ranging from the conduct of a spacewalk, physical exercise to keep up crew health, to life support systems capable of long-term functionality. 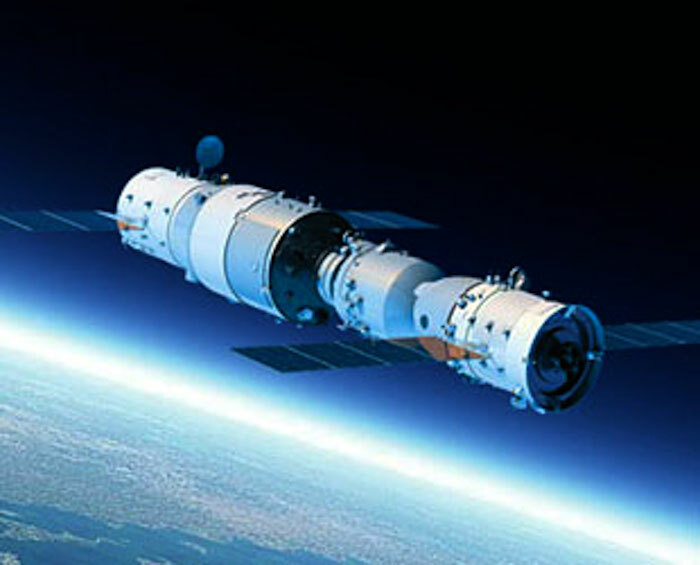 Tiangong-1 was a testbed for more essential technologies, being visited by three spacecraft – first by Shenzhou-8 that demonstrated China’s first automated docking in space, and later Shenzhou-9 that carried a crew of three, including China’s first woman in space. The 13-day mission included an automated and manual docking test and plenty of experiments aboard the orbiting station. Shenzhou-10 flew in 2013 and again featured a crew of two men and one woman to set a new record for the longest Chinese space mission. 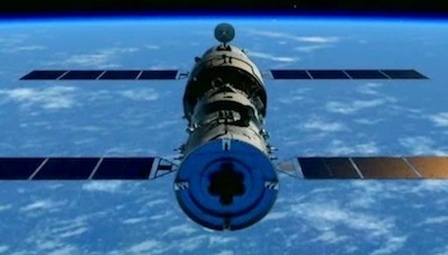 The 15-day flight was dedicated to outfitting tasks of Tiangong’s interior to improve the crew environment after some deficiencies were discovered on the first flight. SZ-10 again completed docking exercises and featured the first school lesson given from space by a Chinese astronaut. Stocked with supplies for two crewed missions, the Heavenly Palace closed its doors and lifted itself into a higher orbit to continue testing its critical systems over an extended stay in space beyond the module’s two-year warranty period. Some time in late 2015, controllers lost contact with Tiangong-1 which is now expected to make an uncontrolled re-entry some time toward the end of 2017, depending on how fast its descends toward the atmosphere. Tiangong-2 started out as the backup to TG-1, featuring the same basic structure, and was expected to lift off in 2013. 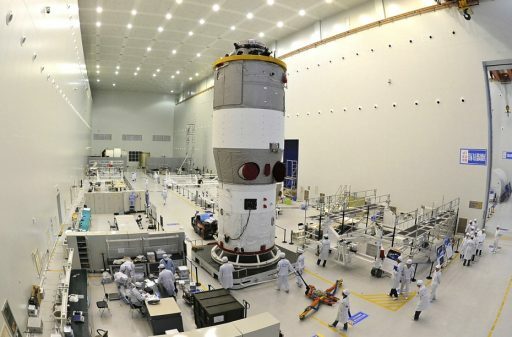 However, after the success of the Tiangong-1 flights, the Tiangong-2 mission was changed to enable TG-2 to be the last stepping stone ahead of the launch of China’s modular Space Station, tasked with demonstrating the last critical technologies needed when the Tianhe Space Station Core Module takes flight in around two years time. Tiangong-2 is loaded with supplies for a 20-day stay of a three-person crew – a mission design that was recently changed to allow for a 30-day mission by a crew of two. 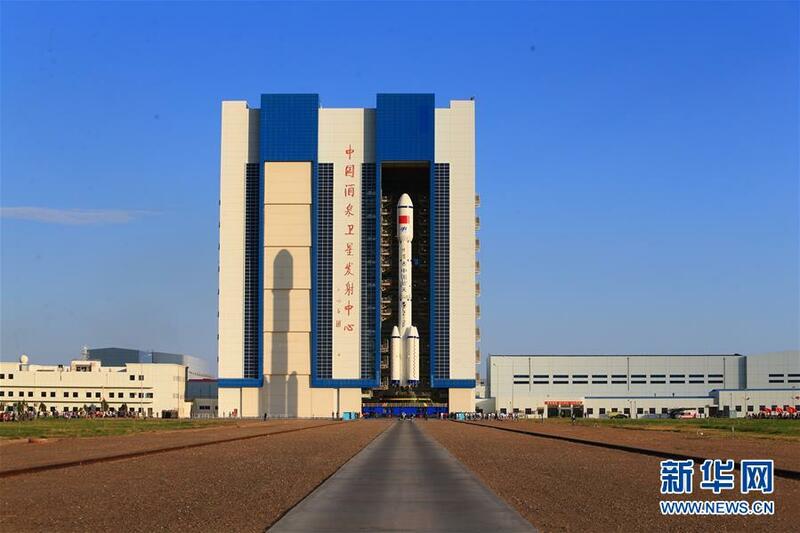 Shenzhou-11 is currently in the midst of being processes for a mid-October liftoff, though its crew has not yet been revealed. After the crewed mission, Tiangong-2 will remain in orbit to wait for the uncrewed Tianzhou-1 cargo vehicle, launching atop a Long March 7 on a shakedown mission around April 2017 to demonstrate China could transport cargo to its long-duration space station including the transfer of propellant from the cargo vehicle to the station. Though not yet officially announced, it can be expected that the Shenzhou-12 mission will also have Tiangong-2 as a target. This mission, while shorter in duration, will likely focus on spacewalking techniques to expand on China’s EVA record of only 22 minutes. 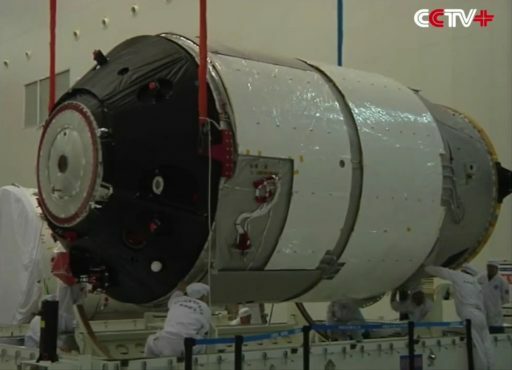 Tiangong’s launch flow started back on July 9 when it arrived at the launch site after a two-day train ride from its Beijing assembly facility. Over a period of weeks, the Orbital Module was loaded with crew supplies as well as a number of scientific experiments while the Service Module was filled with around one metric ton of propellant as well as consumables for the environmental control system. Overall, Tiangong-2 is more than ten meters long, 3.35 meters in diameter and weighs 8,600 Kilograms at liftoff. It hosts a series of external payloads for Earth and Space Science plus internal science equipment to be operated by the crew over their month-long stay. A critical new system being tested on Tiangong-2 is a large robotic arm that will be responsible for the relocation and installation of large modules on China’s future space station. The arm, over ten meters in length, will complete testing in the space environment to be cleared for its operational mission where it will be accompanied by a smaller five-meter arm. Tiangong-2 hosts a microwave altimeter and spectrographic instruments for ocean, land and atmospheric monitoring, the POLAR gamma-ray detector that aims to study the dynamics of Gamma-ray bursts, and it carries a Quantum Communications payload to continue pushing forward this relatively new field after China successfully launched the world’s first space-based quantum communications experiment earlier this year. 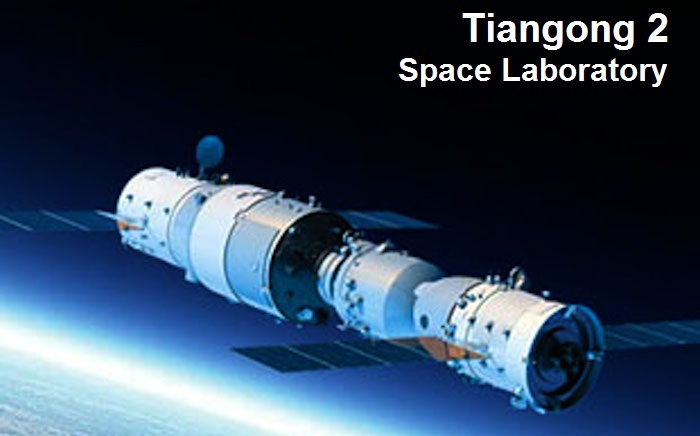 Ongoing inside the Tiangong-2 lab will be experiments concerned with plant growth in space, human physiology during medium-duration space missions, materials science and fluid dynamics. Banxing-2 is a small satellite riding piggyback on Tiangong-2 outfitted with a high-resolution camera and wide-angle imagers to capture photos of the Heavenly Palace circling the Earth before venturing out on its own mission studying orbital debris. 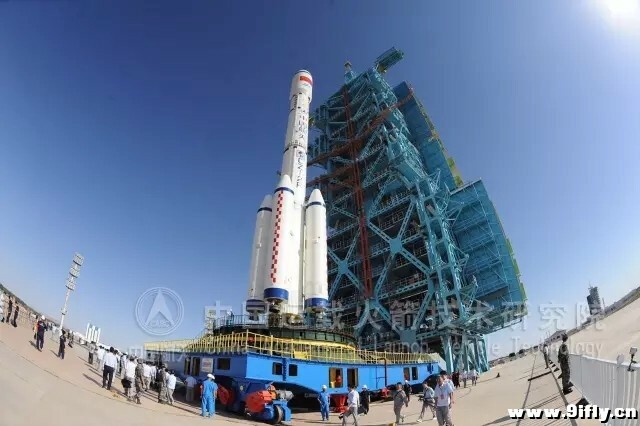 Tiangong-2 enlists the help of China’s trusted Long March 2F rocket that arrived in Jiuquan on August 6 to undergo assembly before being integrated with its high-profile payload. The all-hypergolic CZ-2F is comprised of four boosters clustered around a large core stage and topped by a second stage tasked with giving the vehicle the final boost into orbit. 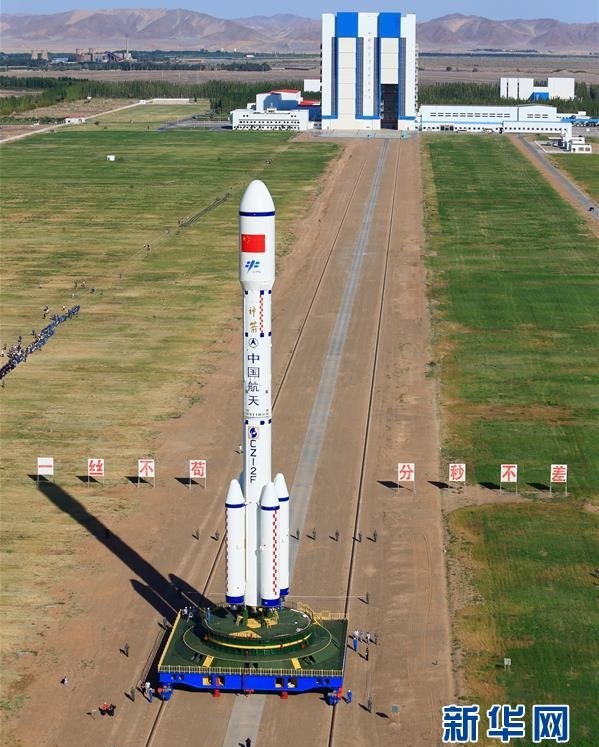 Long March 2F is based on the CZ-2E variant that debuted in 1990 but had to undergo nearly 200 modifications to meet the standards for launching crewed missions into space. These modifications included the addition of a more robust and more accurate guidance system to ensure crews arrive at their precise destination in space. When flying uncrewed payloads, the 480-metric ton rocket stands only 54 meters tall due to the absence of a Launch Escape Tower. Over the course of its five-day on-pad campaign, the CZ-2F/T rocket underwent detailed testing and received its load of hypergolic propellants – Unsymmetrical Dimethylhydrazine and Nitrogen Tetroxide, a highly toxic but popular propellant combination. 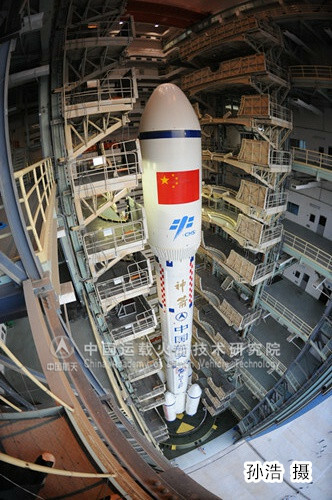 At liftoff, Long March 2F will be powered by its four LB-40 strap-on boosters and L-180 Core Stage generating a total thrust of 604-metric ton force. Each of the four boosters stands 15.3 meters tall with a 2.25-meter diameter to hold 40,800 Kilograms of propellant consumed over the course of a 127-second burn by a 740-Kilonewton YF-20B engine. The boosters separate from the rocket two minutes and 35 seconds after liftoff followed by brief stabilization by the first stage that keeps firing only a few seconds longer. The 28.5-meter tall stage has an increased diameter of 3.35 meters and hosts a YF-21B engine cluster comprised of four YF-20B engines also in use on the boosters. Generating 2,962kN of thrust, the first stage consumes 186.5 metric tons of propellant over the course of its burn. With the core handing off to the second stage, CZ-2F will fire up its YF-24B engine pack comprised of a 738.4kN YF-22B main engine and a four-chamber YF-23B that is in charge of steering and provides a thrust of 47kN. The 14.2-meter long stage shares the first stage’s diameter and holds 86.5 metric tons of propellant. 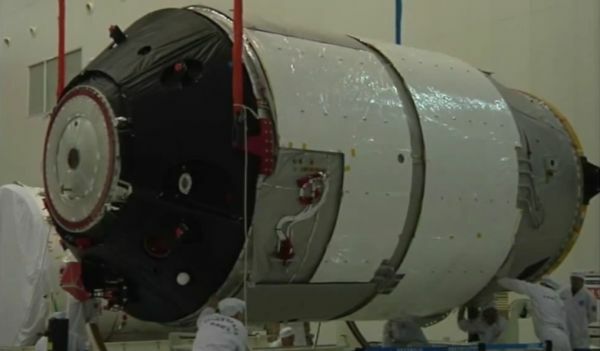 Separation of the 4.2-meter diameter fairing is expected three minutes and 35 seconds into the mission with the 12-meter long halves splitting open and dropping away to reveal the Tiangong spacecraft. The second stage main engine fires for precisely five minutes while the vernier keeps burning for another 114 seconds to optimize the orbit of the spacecraft. Spacecraft separation is expected just shy of ten minutes after launch into an orbit of 380 Kilometers and Tiangong-2 will quickly perform a series of critical tasks including the stabilization of its three-axis orientation and the deployment of the power-generating solar arrays. 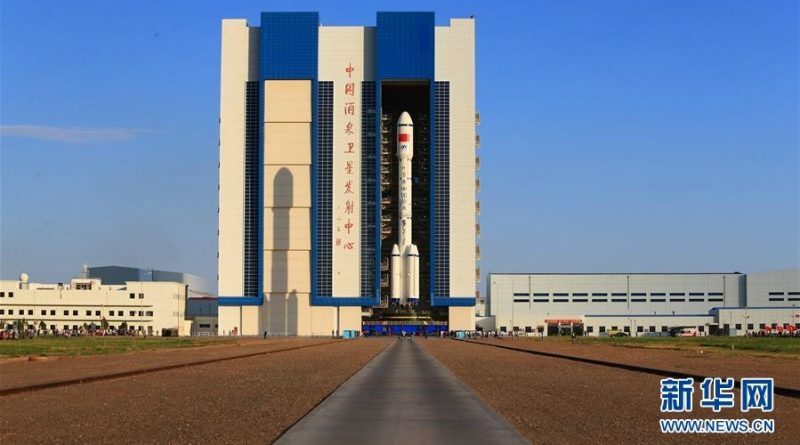 The Tiangong-2 vehicle operates in a higher orbit than its predecessor and will maneuver up to an altitude of 393 Kilometers to undergo four weeks of testing and phasing maneuvers to set up for the launch of the Shenzhou-11 spacecraft that will mark another chapter in China’s human spacecraft program, pushing the envelope in terms of mission duration and complexity.